And at the bottom you will find some links to more resources. Q. Is it ok to feed my puppy ‘this’? People often ask us if it is OK to feed their puppy eggs, milk, rice, vegetables, scraps, chapatis and other selected food items. 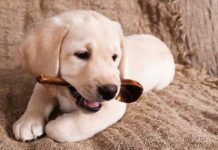 The answer is that there are thousands of potential human foods that you could feed your puppy and that might not on one occasion do him any harm, but that does not mean that you should. The best way to feed a puppy is to choose EITHER a good commercial brand of puppy food. OR a balanced diet of raw meat and bones. Unless you are very knowledgeable about nutrition, cobbling together a diet of home made, cooked and uncooked human food is probably not the best start for a puppy. Nor is it a great idea to feed a puppy on a vegetarian diet. Though no doubt some puppies survive this regime. It is also important to note that eight week old puppies are weaned and do not need milk in any shape or form. Puppies are carnivores, and have a carnivorous digestive system. They need a substantial amount of their food to come from animal protein. Especially whilst they are small and growing rapidly. Puppy kibble is designed to provide the right nutrient balance, though it does include large quantities of carbohydrate fillers unless you go for a specially made and correspondingly more expensive brand. Q. Would my puppy be better off on a raw diet? We don’t yet know whether or not raw fed dogs are more healthy than kibble fed dogs. [wp_ad_camp_2]You will hear health and longevity claims by both raw and kibble feeding ‘camps, but there is little evidence to support them. You can read a bit about the raw food controversy here: Are vets driving raw feeders away. There are pros and cons to raw feeding and you can find links to more information at the foot of this article. Ultimately it will depend not only on your puppy but also on your circumstances. Raw feeding can be a messy business, so those with small children, for example, might want to stay clear of raw feeding until their kids are older. If you decide to feed your puppy on kibble, you should not feel that you are letting him down in any way. The vast majority of puppies are fed this way and are apparently thriving. Q. 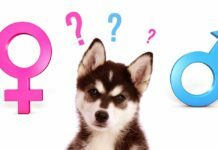 What brand should I feed my puppy? There is a bewildering array of commercial puppy foods available in supermarkets and pet stores. It is no wonder that new puppy owners are confused. When you first bring your new puppy home, the best brand to feed is the one that the puppy was being fed by the breeder. This is because new puppies are prone to upset tummies and a change in food can trigger a bout of diahorrea. Once your puppy has settled in, you will be able to change to a different brand if you wish. Which brand is best, is a matter of opinion, but the more expensive brands tend to have less cheap fillers and arguably higher quality ingredients. The difference in cost between expensive brands and the cheaper ones is not as great as it seems, because puppies need to eat less of it. The truth is that most dogs thrive on most brands, and that many health problems that are put down to diet, are probably not due to diet at all. If you choose a mid-range brand that suits your wallet, you puppy will probably do just fine. Q. How much should I feed my puppy? This is one of these ‘how long is a piece of string’ type questions. But it is important that you do not feed a kibble fed puppy according to his appetite. 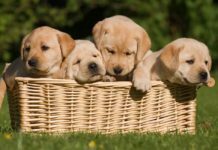 Puppies, especially Labrador puppies, are often extremely greedy. They can and will eat far more than is good for them. They will then get fat and grow too fast, which can cause all kinds of problems. 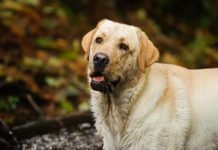 This is less true of raw fed dogs but it is still best to determine how much to feed your puppy, or any dog, by the results. Start feeding your kibble fed puppy according to the kibble manufacturers instructions and observe what happens. If he gets too fat, cut back. If he gets too slim, add a bit more. The reason you have to do this is that no two dogs will have exactly the same requirements. Packet instructions can only ever be a guide. And sticking slavishly to them may cause problems. Check out Fat Labrador for more information on judging what ‘fat’ looks like. Q. 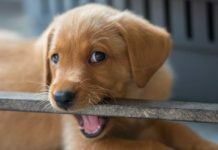 How often should I feed my puppy? 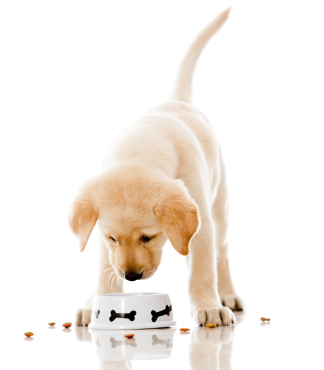 Puppies under three months old need their daily food allowance to be divided between four meals a day. The reason for this is not because they cannot eat more at one sitting, but because meals that are too large tend to cause diahorrea. It is all about keeping your puppy’s digestion functioning smoothly. At three months you may be able to cut down to three meals a day, and at six months to two. But observe your individual puppy and don’t hesitate to break his meals up into a larger number of smaller meals if his tummy is upset. Q. My puppy won’t eat! What should I do? 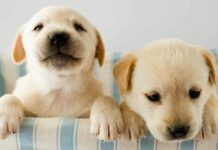 There are two main reasons why a puppy might not eat. You need to differentiate between the two. If a puppy won’t eat his kibble, but will happily scoff your dinner, he is probably just voting with his mouth. It is up to you of course, but I never switch dog foods because a dog prefers an alternative. All too often it ends up with the dog being more and more selective, until the poor owner is having to scour the stores to find something he likes to eat. If your puppy won’t eat anything and it is more than four hours since his last meal, something is wrong, and you need to talk to your vet. If he is just being fussy, simply remove the meal, don’t give him any alternative. He will eat when he is hungry enough. Many people worry about feeding their puppy the right things. 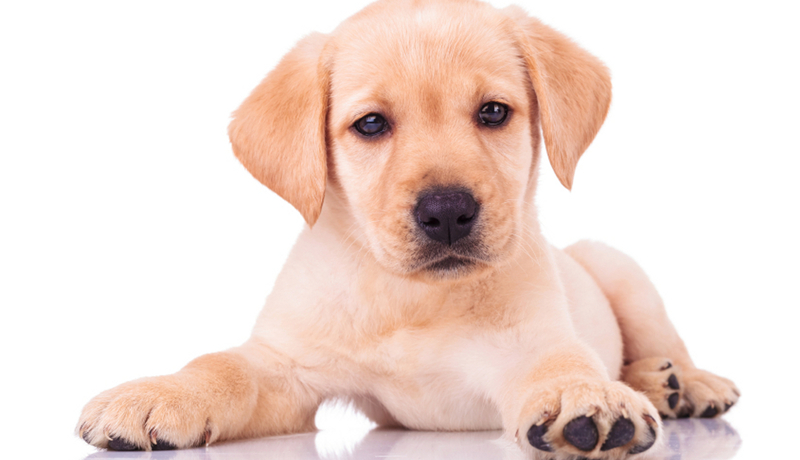 Labrador puppies are for the most part, very easy to feed and do well on either kibble or a balanced raw diet. Read the information available, and choose whatever suits your lifestyle. As long as your puppy is healthy and full of energy you don’t need to worry. 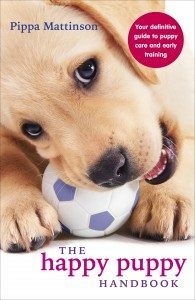 Previous articleYour Labrador’s Magic Word! Hi Pippa, this website is great, congrats!!!. MY little 7weeks black lab puppy eats and vomit all from time to time, eats her vomit and after some minute vomit again. Fo example, she takes her breakfast at 8am, she ll be vomiting 4 or 6 times until 11am. Vet said is normal and issue should be gone by week 12 or so, and nothing to worry about, but I dont know, I m worried, please give me a light and let me know if this could be normal. She continues full of energy, good mood, playing and going to bathroom as usual, zero issues about it. Just worried about vomit. I brought my 8week old Labrador home yesterday , he seems fine in himself , but hasn’t eaten anything since he arrived , is it just the new home that has upset him do you think?? I am from India and having a 3 months old male Labrador pup. What Indian food should we give him that is home made? I have a 6 week old puppy but due to some reason he is eating very less.please help regarding this. Have him checked by your vet Atis. My puppy is 11 weeks old and we feed him 3 times a day 75g. He weighs just over 7kg. He is on Hills science, but he is always hungry! He is upto date with worming and that. His poos are sometimes loose. Shall I try feeding him twice a day or wait till he is 6 months? of tinned puppy food on top; Seemed to work, he is one very large labrador of 43 kg. Weighed his carefully since 12 weeks, with advice from my Vet; He is Very Musclar.